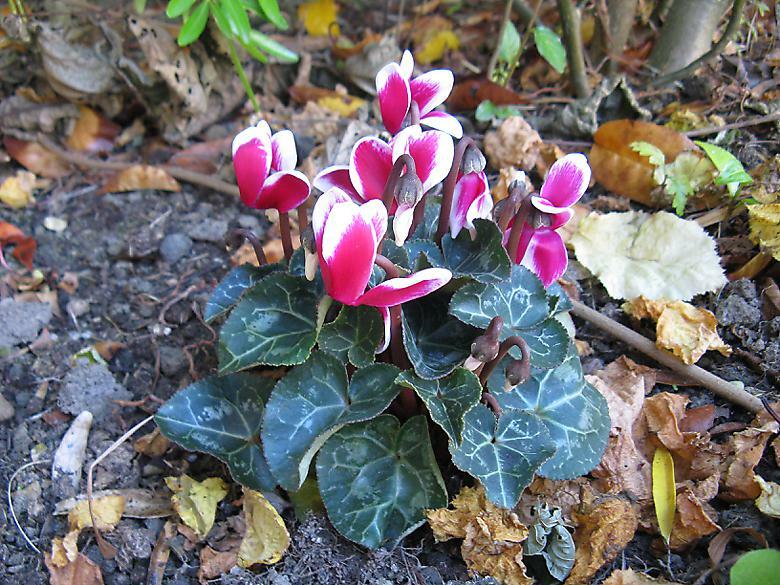 I bought and planted this Cyclamen last weekend. It is somewhat hidden from view so when I happen to see it, I smile a little. Not sure if it going to be completely hardy over winter as it looks a little bit too pretty. We shall see.